Many people experience constipation, which is the inability to have a normal bowel movement. This condition can be caused by a lack of fiber, lack of physical activity, illness or medications and generally is relieved within a few days. Regardless of the cause, constipation can cause significant discomfort with cramping, gas and bloating as the body's waste products fill the colon and intestine to capacity. Laxative medications are usually effective; however, they also have a tendency to create a dependency in order to have normal bowel movements. Juicing can help relieve constipation, without dependency and without side effects. Drink water mixed with aloe vera juice daily to help prevent constipation. 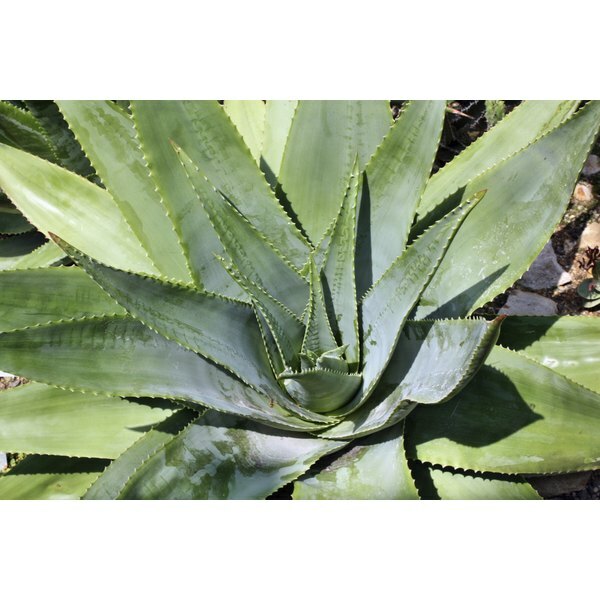 According to the University of Michigan, aloe contains substances known as anthraquinone glycosides, which have a strong laxative effect. Water too, is beneficial for individuals with constipation, because it can help the digestive tract move food and waste products through the system. Aloe juice can also be added to other juices; however, be sure to drink at least 64 ounces of water every day to stay adequately hydrated. Juice three fresh or dehydrated figs with a cup of water, a peeled banana and two tbsp. of molasses or honey. This mixture can help the bowel and colon recover from constipation. The National Institute of Diabetes and Digestive and Kidney Diseases, or NIDDK, explains that fiber -- found in the bananas and figs -- and water combine together to make stools pass more easily through the colon. Drink a glass of carrot juice mixed with spinach juice twice a day. Green leafy spinach is an excellent source of iron and spinach is effective in increasing bowel motility. Carrots, also high in dietary fiber, are a good source of beta carotene and vitamin C, which can help heal the digestive system affected by constipation. Juice a mixture of an apple, fresh papaya, a banana and enough water to make smooth. This drink provides fiber and naturally occurring sugar that can give you energy for physical activity. According to the NIDDK, regular exercise helps to stimulate the digestive system, particularly the intestine, and can help relieve constipation. See your doctor if you experience unusual bowel habit or you are constipated for more than three weeks. Are Rice & Beans Good for Constipation?